President Bashar al-Assad’s forces have repeatedly used chemical weapons against rebel fighters in Damascus, according to first-hand accounts in France's Le Monde newspaper. EU foreign ministers are set to discuss British and French calls for them to ease sanctions against Syria so weapons can be supplied to the rebels. 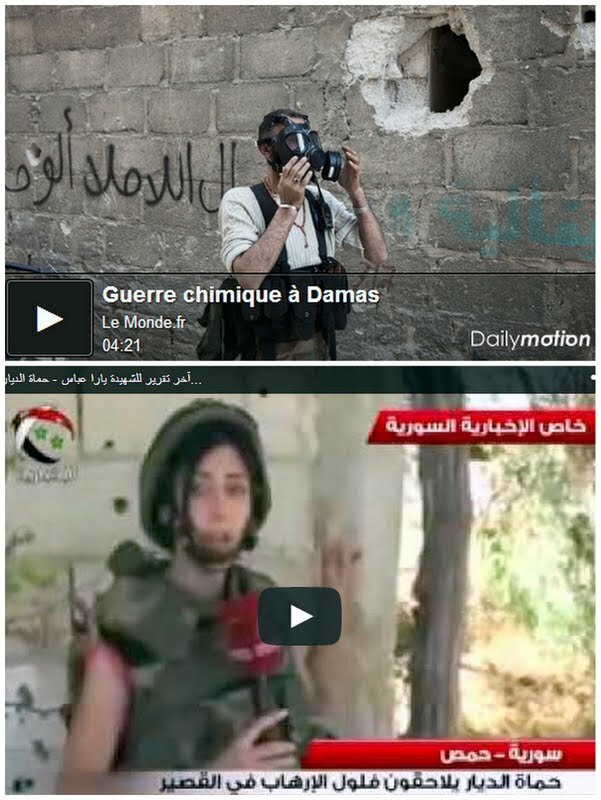 Yara Abbas, a prominent female war reporter for Syria’s state-run Al-Ikhbariyah TV, was killed near Dabaa airbase, a short distance from Qusayr. Rebels held the town of Qusayr in Homs province for a year but came under attack by Damascus government and Lebanese Hezbollah forces last week. 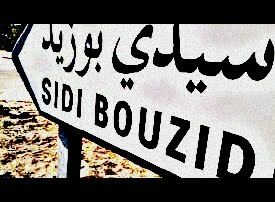 “The Battle for Qusayr is Sidi Bouzid,” according to Dr. Mamoun Fandy, an Egyptian-born American scholar who is a senior fellow at the Baker Institute, the United States Institute of Peace and at the International Institute for Strategic Studies in London. The battle for Qusayr raging between Hezbollah and Syrian opposition forces is identical to Mohamed Bouazizi’s self-immolation in Tunis, which sparked the Arab Spring uprising in Tunisia, Libya, Egypt, Yemen and Syria. Qusayr is Bouzid in the sense of sparking off a new conflict in the Arab region the framework of which was set by Hezbollah leader Hassan Nasrallah in his Saturday speech. I must say his address was – in terms of its bona fide implications – the most important I heard in the two years since Egypt’s late Vice President Omar Suleiman announced President Hosni Mubarak’s resignation. Nasrallah’s address effectively outlined the nature of the dawning Sunni-Shiite struggle, the opening round of which is the battle for Qusayr that he vowed to win – win against Sunnis, of course. To think otherwise is to try hiding the sun with one finger. Fact is we’re into a second wave of the Arab Spring in Qusayr, but in reverse. Instead of being between oppositions and regimes, the face-off becomes one between Shiites and Sunnis in order to draw the strategic features of the Arab region for years to come. The Arab region from hereon will be captive to an ideological clash between Iran-led Shiite supremacy and a Sunni axis comprising Turkey and key Gulf Arab states. Egypt, with a massive Sunni majority (of about 77 million), will remain a bystander. The Syria war between the Assad army and the opposition showed the former to have serious shortcomings. Its combat capabilities are not what Iran and Hezbollah expected as a backup. Part of the reasons for Hezbollah and Iran’s intervention is to plug loopholes in the Syrian army and restructure it. But more important is the end result of the three-way Iran-Syria-Hezbollah cooperation in terms of military interoperability (or compatibility in computer parlance). How would this military coordination between Syrian, Iranian and Hezbollah forces affect Geneva-2 and Assad’s exit? Judging from Nasrallah’s speech, the Shiites have won -- through Iran – a seat at the Geneva-2 negotiating table. As regards the agenda, the Shiites would be speaking as the regime’s regional sponsor, backed by an international patron represented by Russia’s Sergei Lavrov. Sadly, after Nasrallah’s discourse, Syrian regime loyalists and opponents will have no say in Geneva-2. The negotiations will be between the two principals: Russia and America. At the same time, there will be indirect talks between Iran, as the regime’s regional sponsor, and the opposition’s regional patron represented by Turkey and key Gulf Arab states. No wonder the opposition is headquartered in Istanbul, offsetting Iran’s overt political and military defense of the regime. The West regurgitates what it used to say regarding the Palestine Question: “Look, we are trying. We don’t like what we’re seeing.” The means the West adopts a moral but apolitical position. Geneva-2 will most probably get nowhere or maybe reach half-solutions, allowing the Shiite-Sunni war’s opening tactical and symbolic battle to continue in Qusayr. The battle for Qusayr is Bouzid in reverse. Post-Qusayr, the battle will not be over control of state authority, such as in the Arab Spring states, but over regional hegemony. The Arab Spring is accordingly moving backwards to a primitive Sunni-Shiite millennium-old conflict. Labels: #Hezbollah, Arab Spring, Assad, Chemicals used in Damascus, Dabaa airbase, Geneva-2, Gulf Arab states, Iran, Nasrallah, Qusayr, Russia, Shiite, Sunni, Syria, Turkey, U.S.